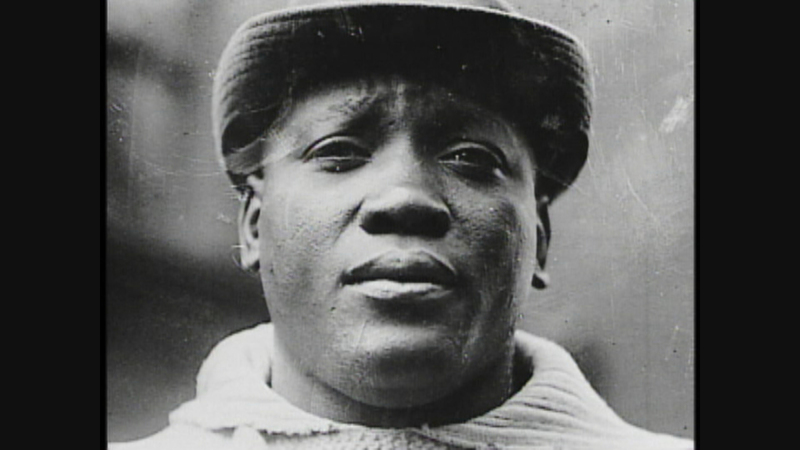 Video: In this 2005 “Chicago Tonight” segment, John Callaway tells the story of Jack Johnson. Johnson then defeated a series of “great white hopes,” culminating in his 1910 win against the undefeated former champ James J. Jeffries. But in 1913, Johnson was convicted by an all-white jury for violating the Mann Act for traveling with his white girlfriend. The law made it illegal to transport women across state lines for “immoral purposes.” He served about a year in prison. Johnson lived in Chicago for much of his life and ran a popular South Side nightclub, Café de Champion.